BCA Marketplace plc (LON:BCA) is the topic of conversation when Mike Allen, Head of Research at Zeus Capital talks to DirectorsTalk. With BCA Marketplace having just provided their Interim results for the 6 months ended 30 September 2018 we ask Mike for his thoughts on the results, the themes that he noted, any changes to the forecast and how he views the company as an investment. BCA Marketplace plc operates across every link of the post-factory automotive value chain, providing physical and digital solutions at scale to its customers. Once a new vehicle leaves its place of manufacture, BCA provide a comprehensive range of services. Its digital and physical auction platforms bring together OEMs, leasing companies, fleet operators, retail dealers and buyers to efficiently transfer the ownership of vehicles while protecting value. 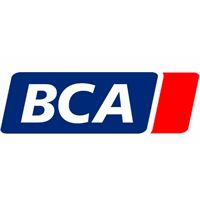 BCA facilitates the UK and European vehicle market, enabling vehicles to be moved, bought and sold, thereby providing liquidity and choice. Remarketing services are at the core of the Group’s business model, managing vehicle transactions between vendors and buyers. This is complemented by a broad range of value-added services that fuel the marketplace. They are a key facilitator to the entire value chain in automotive, whether that is the manufacturer, the dealer, the vehicle financier or the end consumer. Click BCA ZEUS for the full archive.